by the Space Foundation, co-founded by NASA. 90% is functioning. This allows us to have an objective measurable baseline to track improvement as you progress through care. 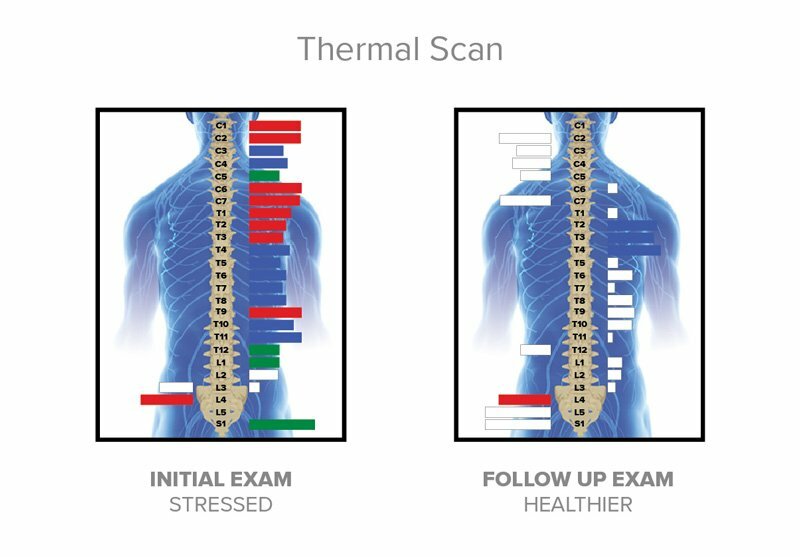 Our INSiGHT Technologies detect and report the impact of lifestyle stress combined with real-time reactions occurring within the spinal nerves. 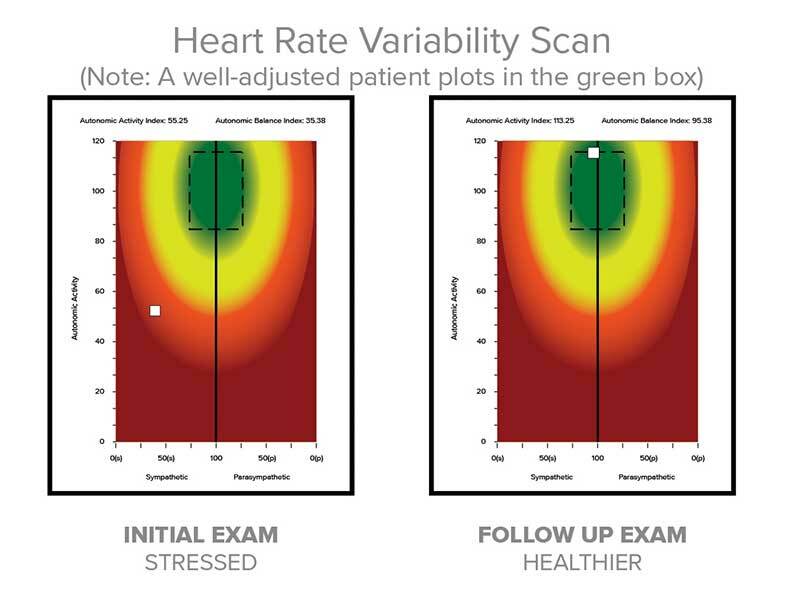 Subluxation patterns can be analyzed instantly and communicated effortlessly using the scanning reports. What is the source of your stress? Scanning the spine using infrared technology creates a thermographic image, which identifies areas of poor autonomic nerve regulation. Engineered for use with infants, adults or seniors, this exceptional rolling thermal device and its reports educate on the deepening effects of subluxations and stress. Dr. Brew’s advanced strategies provide pin-point accuracy for patients to discover the source of the pain, the sources of stress in their life that cause the pain and how to better adapt and alleviate that stress and create optimal health. How is your body moving and performing? The neuroCORE accurately measures the tone of the muscles along the spine and is the centerpiece of your evaluation. This quick analysis of the neuromuscular activity along the spine produces invaluable information for Dr. Brew to manage the effects of the vertebral subluxation. 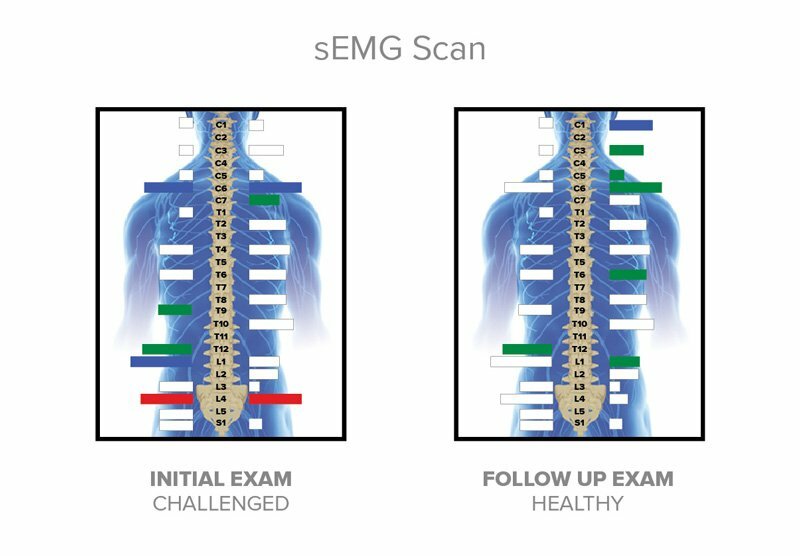 The sEMG identifies the causes of muscle imbalance, tightness, fatigue and spasm to create a specialized and comprehensive plan to bring you to your highest performance level. Do you have heart disease or stress in your family? Are you concerned about living longer? stress and enjoy life to the fullest. You will be amazed at the results!